3R Sustainability was awarded first place in the 2018 Sustainable Pittsburgh Challenge in the Micro Business Division. 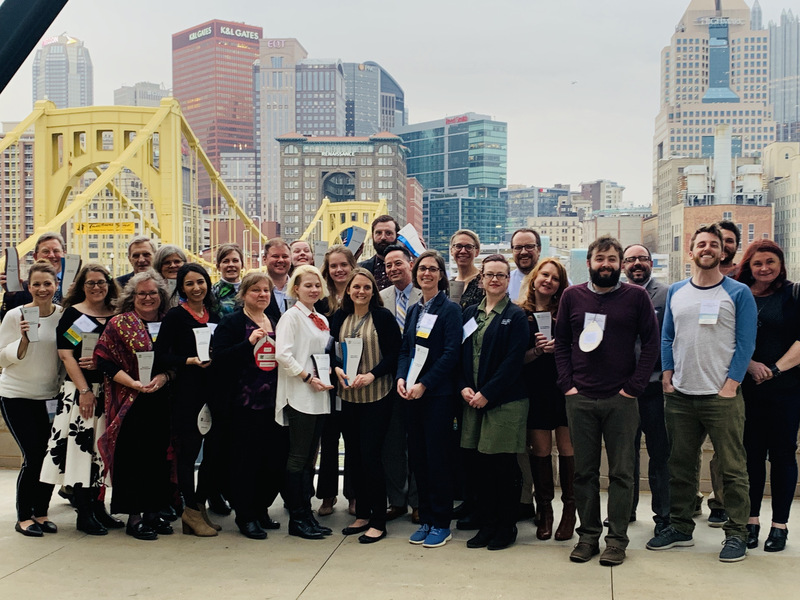 More than 100 organizations throughout southwestern Pennsylvania participated in the 13-month Sustainable Pittsburgh Challenge and were recognized at the Awards Celebration at PNC Park on Thursday evening. 3R is thrilled to be atop the list of most sustainable organizations in Pittsburgh. 3R has long enjoyed being part of the sustainability community in the southwest PA region, a region that serves as an exemplary example across the country. The team at 3R looks forward to the next challenge, already researching new and creative ways to improve sustainability for its stakeholders, the community, and the environment. Sustainable Pittsburgh is a 501(c)(3) nonprofit organization dedicated to accelerating the policy and practice of sustainable development in southwestern Pennsylvania. Headquartered in Pittsburgh, PA, 3R Sustainability is a wholly-owned subsidiary of SRI that guides socially-minded organizations through Corporate Social Responsibility (CSR) program planning and implementation. 3R uses an integrated approach to realize sustainability goals that add business value and brand equity. As shareholders, customers, and employees ask more of their organizations and supply chain, 3R is uniquely qualified to integrate initiatives across the organization into a comprehensive CSR program. 3R teams are made up of accredited professionals with backgrounds in business management, consulting, engineering, and assessments with decades of industry experience. Offering a range of CSR services including planning, implementation, program evaluation, report and assurance guidance, and education and training; as well as supplemental services such as, built environment (LEED) consulting and resources for 3rd party verification, 3R tailors a team and solution to an organization’s exact needs. For more information visit www.3Rsustainability.com or call 724-741-9900. 3R consultants are passionate about the environment and are conscious of the impact buildings have on their surroundings. We strive every day to have a positive influence on the people we team with, and projects we contribute to, with the goal of creating exceptional value for our clients and a more sustainable world. We do this by identifying opportunities with the greatest impact and creating an action plan to prioritize sustainable efforts which will reduce energy consumption, improve occupant health and productivity, and increase building asset value. © 2019 3R Building Sustainability. All rights reserved. LEED®, and its related logo, is a trademark owned by the U.S. Green Building Council® and is used with permission.